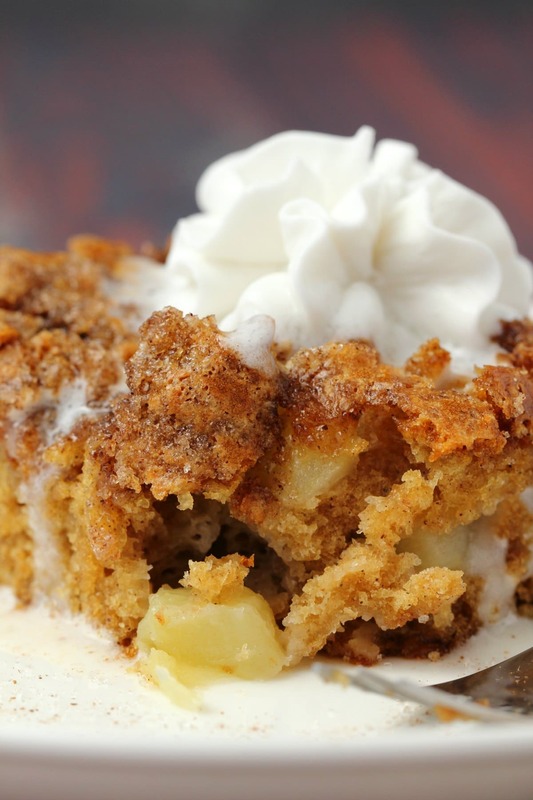 Light and fluffy vegan apple cake with a cinnamon sugar topping. 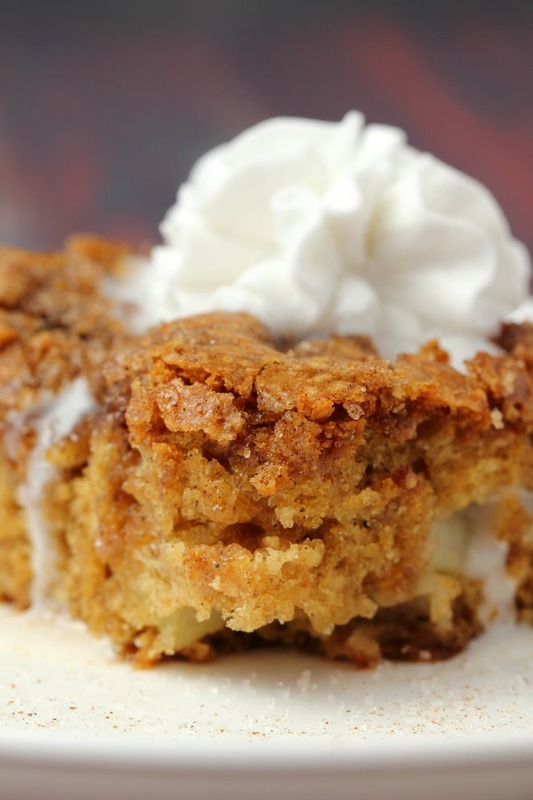 Packed with fresh apple flavor and absolutely divine served warm with vegan whipped cream. 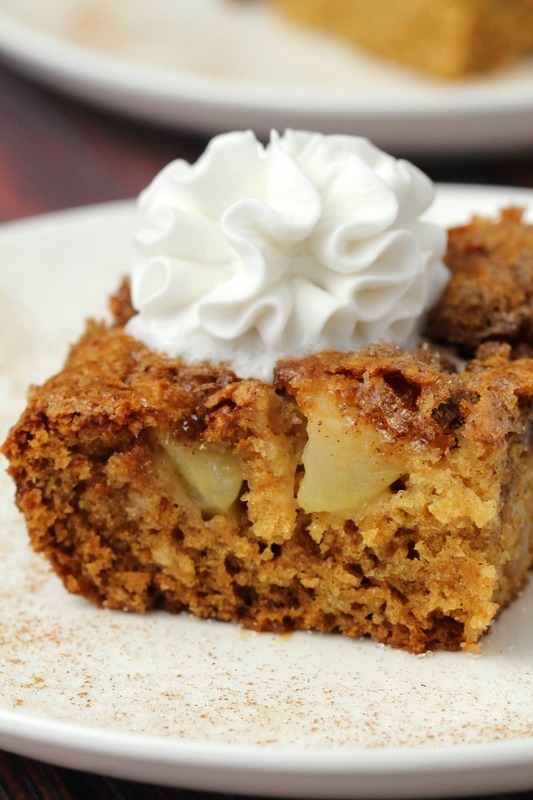 I am totally in love with this vegan apple cake. And so is Jaye, he hasn’t been able to stop eating it to tell you the truth. I actually started out with the goal of making a vegan apple pie. But at the last minute switched gears and made an apple cake instead (and then I made a vegan apple crisp!). 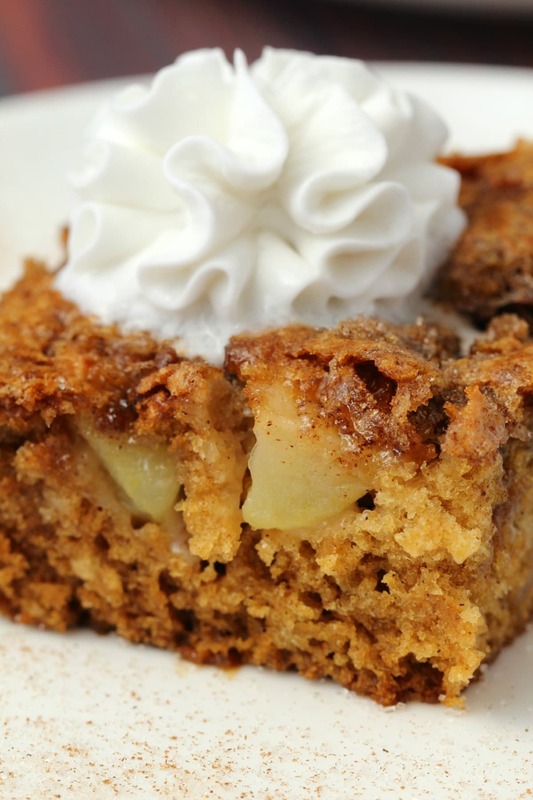 And it is honestly so good, no one will miss apple pie when you present apple cake, I promise you. 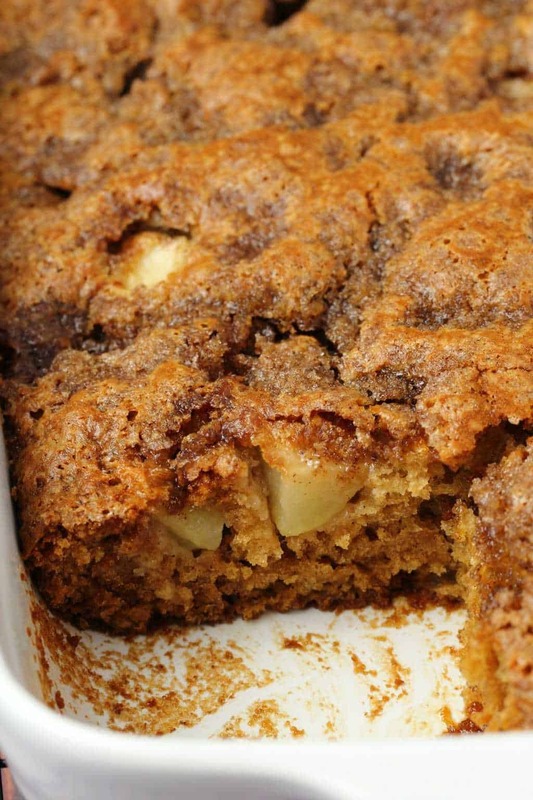 And even though I have yet to make an apple pie, I reckon this apple cake is heaps easier. 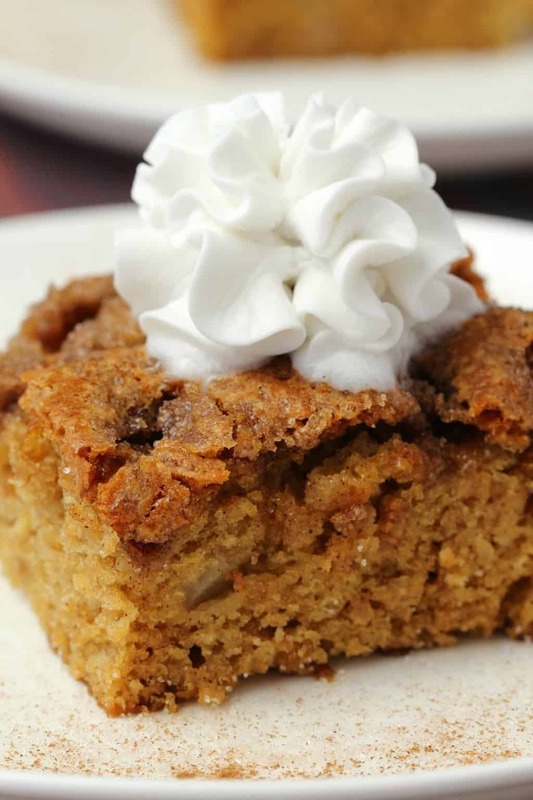 The hardest part of making this apple cake is peeling and chopping up a few apples. So basically, not hard at all. It’s totally divine served warm and topped with some vegan whipped cream. 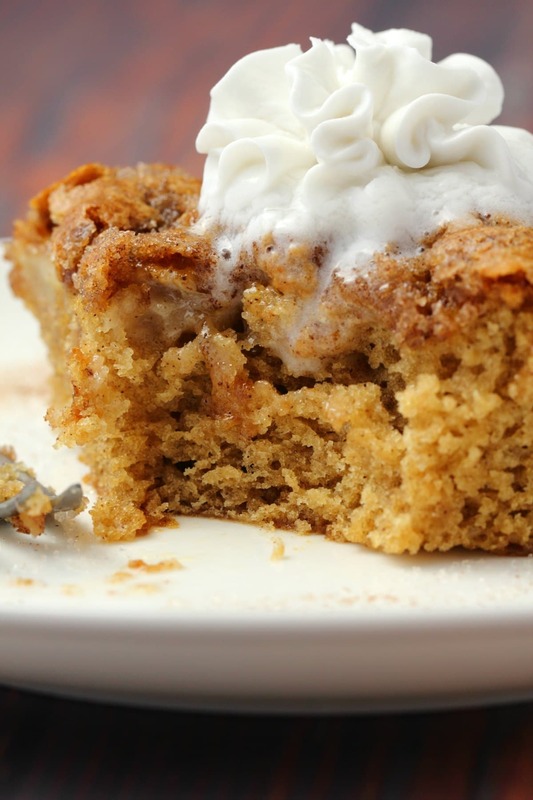 It has all those gorgeous fall flavors like cinnamon and nutmeg and it’s topped with a cinnamon sugar combination that creates the most delicious caramelized crust on top of this cake. Add your dry ingredients (flour, brown sugar, baking soda, salt, cinnamon and nutmeg) to a mixing bowl and combine. Make up some vegan buttermilk by mixing some lemon juice and soy milk together and letting it curdle. Add the vegan buttermilk and some oil, vanilla and apple cider vinegar to the dry ingredients and mix together. Then you add your chopped apples and mix them in. Smooth down into a 9×13 dish. Mix up some cinnamon, sugar and softened vegan butter and sprinkle this on top. Bake for 45 minutes. Serve with vegan cream. Be very very happy! Granny smith apples. 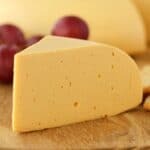 They are wonderfully firm and have a great ratio between sweet and tart. 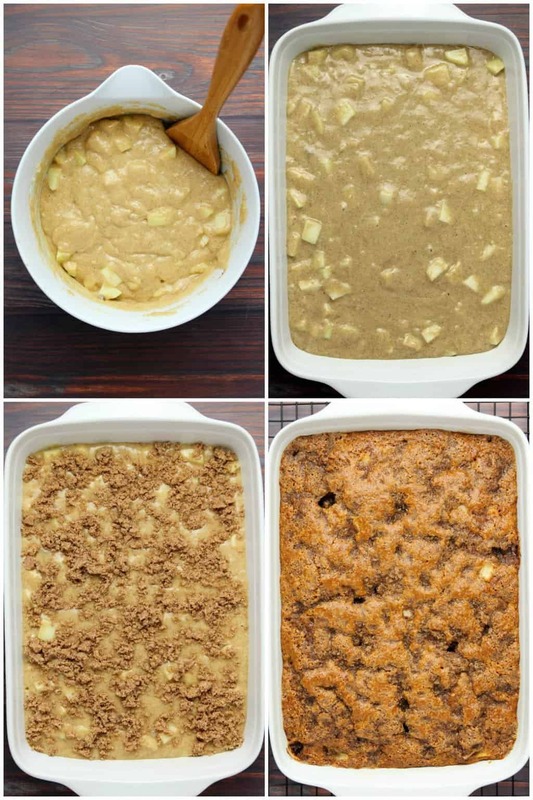 They work great for this apple cake. 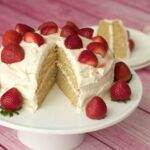 Vegan Buttermilk creates a wonderfully moist texture to this cake and is so easy to make by simply mixing lemon juice into soy milk and letting it curdle. Almond milk works too, but I prefer soy milk for buttermilk if you don’t have an issue with soy as it is thicker/richer so works extremely well. 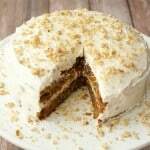 Brown sugar goes beautifully with the fall flavors of this cake so is a much better fit than white sugar. Bake at low heat. This cake bakes for 45 minutes at 325°F (160°C). Most cakes bake at 350°F so I definitely don’t want you to make the mistake of baking this cake at that temperature if you go on automatic pilot when you set the oven (happens to me all the time!). Weigh your flour. 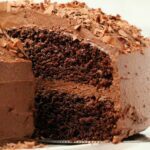 Want to have perfect accuracy with your cakes? Weighing your flour will do that for you. Serve warm topped with vegan whipped cream or custard. Custard powder is often vegan so if you’re a custard fan then make it with some non-dairy milk and you have a winner. 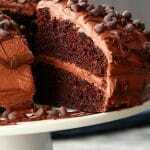 Keep leftover cake covered in the fridge where it will stay good for up to 5 days. Also check out our vegan apple muffins that are adapted from this recipe. 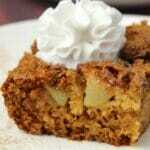 Leave a comment below and tell us what you think of this vegan apple cake and please rate the recipe too. Thanks! Sign up to our email list before you go, you’ll receive a fabulous (and free) vegan recipe ebook containing 10 delicious dinner recipes and you’ll be the first to know when new recipes are posted to the blog. Preheat the oven to 325°F (160°C). Spray a 9×13 dish with non-stick spray and set aside. 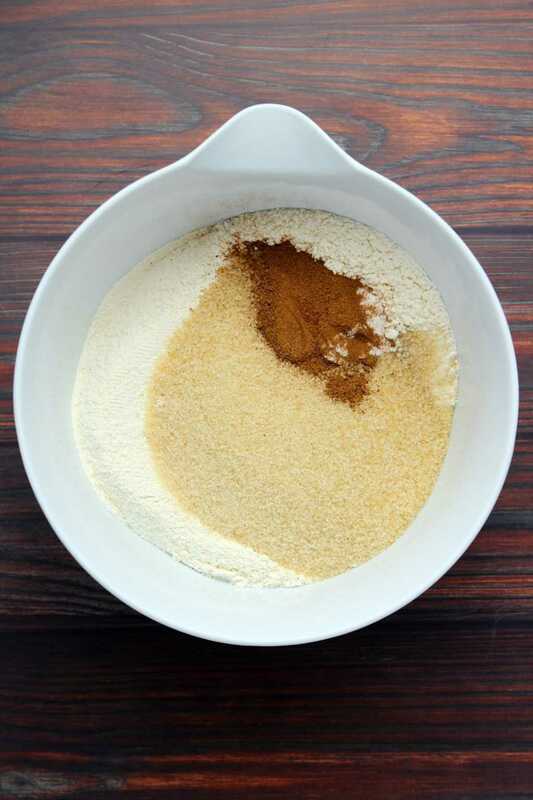 Sift the flour into a mixing bowl and add the brown sugar, baking soda, salt, cinnamon and nutmeg and mix together. Prepare your vegan buttermilk by adding 1 Tbsp fresh lemon juice to a measuring jug and then adding soy milk up to the 1 cup (240ml) line. Leave it for a minute to allow it to curdle. 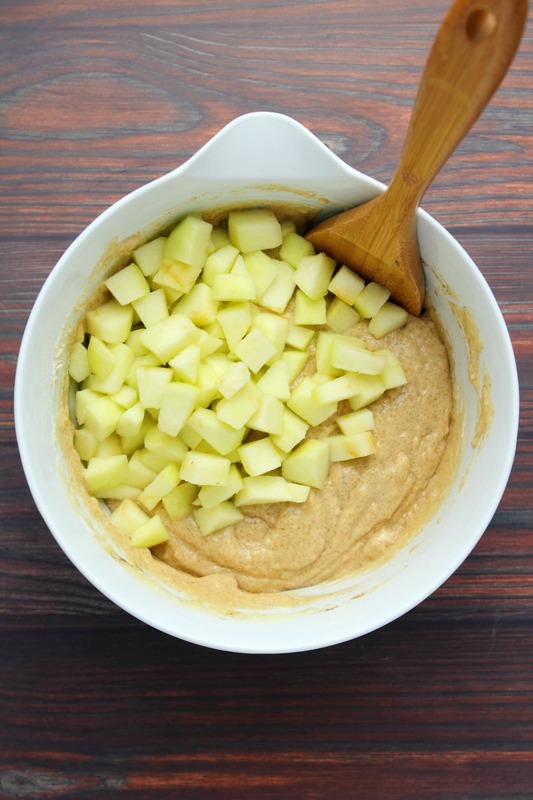 Add the vegan buttermilk, oil, vanilla, apple cider vinegar and applesauce to the mixing bowl and mix in properly. The batter will be thick. Add in the chopped apple pieces and fold in. Transfer to your prepared baking dish and smooth down. Prepare the cinnamon sugar topping by adding the sugar and cinnamon to a bowl and mixing together. Then add in softened vegan butter and mix it in until properly combined and the mixture is crumbly. Sprinkle over the top of the cake. Serve warm with vegan whipped cream. *You can use a different oil such as canola oil if you prefer. *Nutritional information is for cake only and does not include vegan whipped cream. 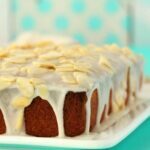 *Recipe adapted from our Vegan Vanilla Sheet Cake with inspiration from Pinch Of Yum. Oh. My. Gosh. This looks sooo good. I’m totally going to make this for Thanksgiving! I can’t rate it because I haven’t made it yet, I’m stuck on the ingredient list, it asks for 1 1/2 cups brown sugar, (300g) but 1 1/2 cups sugar doesn’t weigh 300g it is 150g, so which measurement should I use? You should definitely use the weight measure, a cup of sugar is 200g and 1 and 1/2 cups is 300g. If your cup measure isn’t measuring it the same then it isn’t a standard cup measure, the weight measurement will always be the most accurate. Fresh, rich and so totally palatable! The cake was delicious. It does not rise much and the sugar top-coating Was a little too sweet for me. But overall a very good cake. Thank you! Can this be made with almond milk instead of soy milk? I have everything else and would like to avoid going to the store! Happy Thanksgiving! THANK YOU for all your vegan recipes! this turned out perfect- texture, rise, sweetness, so good. Served with soy custard, so so yummy! Hi Renee! Sorry I’m sure my reply is coming too late to help. But yes it’s fine covered at room temperature all day. Or it would also be fine in the fridge, either way is going to be fine. Hi! Love your dessert recipes for my little munchkin who has food allergies, and excited to try this one! Do you have any suggestions for how long it would take in a bundt pan? I’d like to do a circular cake for tomorrow for Three King’s Day, and am hoping I can make this one work! Hi Shannon, I don’t have a bundt pan so have never tried it out, so I really can’t be sure. But off the top of my head I would imagine you could cook it at a higher temperature (350°F) for a longer time, maybe even up to an hour or so, to account for the increased thickness of the cake. But I would just keep an eye on it and be flexible with the time needed. Turned out great! Thank you for another great recipe and your tip! I did end up baking at 350 for about 55 min and it worked like a charm! Thanks again! 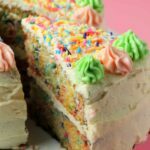 I made this recipe as a birthday cake for non-vegans without the whipped cream. The five of us loved it so much the 9 by 13 pan of it was gone before the night was done. then I made it for work birthday and all the non-vegans loved it. 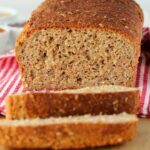 Can I substitute coconut sugar for the brown sugar? Hi! This tastes delicious! The texture was good. While mine didn’t hold together that well, it could have been the moisture of the apples, or that I used oatmilk for buttermilk… or even that I messed up, and put 2tbs of ACV instead of one.. so that’s all me! The reason for 4 & not 5 stars is because this is sweeeeet! …and people, let me tell you about my sweet tooth! Even the unsweetened applesauce and extra ACV didn’t cut all of that coying sweetness. So, next time I would halve the amount of sugar both in the mix, and use less topping. But there WILL BE A NEXT TIME… it’s still that good! Thank you Alison for all of your awesome vegan recipes, not one has let me down yet! I’m not vegan but I made this for someone who is. OMG it was soooo good my family didn’t know it was vegan until I told them. It was easy to make & yummy. We didn’t put whipped topping on ours. It tasted like coffee cake.THE BEST! I can’t wait to find out how my friend liked it. I’ve never made anything vegan before. Try it ,you’ll like it. I haven’t had much success with baking vegan cakes but made this and it turned out really well. 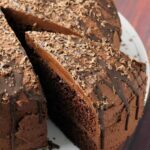 Moist, light and tasty….and easy to make. Turned out perfect. Just made it last night. Only change I made was that I cut down the 1 and 1/2 tsp of baking soda to just 1 tsp of baking soda. Came out fine. Cooking time for me was about 60 mins instead of 45 mins.